Knight News gave University of Central Florida Deputy General Counsel Youndy Cook until May 15 to explain why UCF is hiding certain records about who will help spend nearly $20 million in public funds — even though the University of Florida and Florida State University make them public. 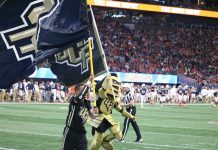 If Cook can’t convince Knight News that UCF is right and UF is wrong by that deadline, Knight News will file its fourth lawsuit aimed at protecting the public’s right to know how UCF is spending public money. As of last count, UCF has spent more than $220,000 in public money defending its position that routine Student Government Association records — like budget expenses and job applications — are not subject to public scrutiny. 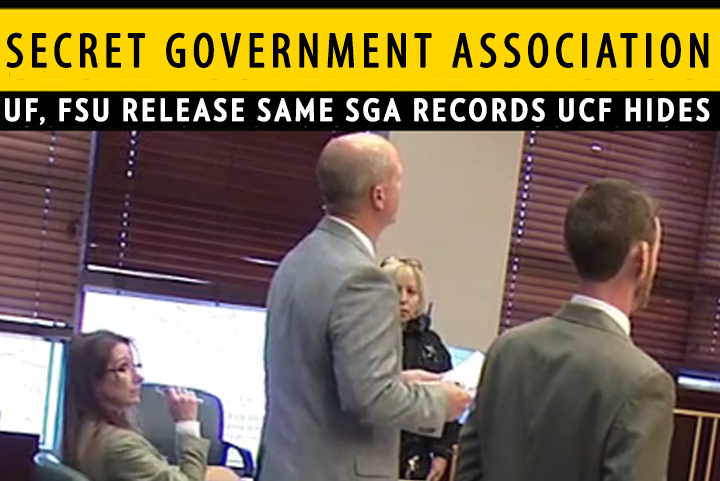 UCF believes that records created and kept by SGA, in connection with SGA business, are a part of a student’s educational record and therefore are protected under FERPA. FERPA stands for the Family Educational Rights Privacy Act. FERPA was created to ensure that students educational records and information — like SAT scores — are kept secure. A few years ago, UCF started applying FERPA to SGA, resulting in unprecedented secrecy, like the closure of election violation hearings. This idea of redacting an accuser’s name and closing election hearings under the guise of FERPA, is not consistent with either UF’s or FSU’s Student Governments. Knight News Adviser Sean Lavin, who is attending law school at UF, requested election violation records from UF Student Government and was given non-redacted Election Violation reports. During that time, Lavin also learned that UF’s student body president is the Student Government records custodian — the one with the say over what information can or cannot be released. UCF, on the other hand, claims that the UCF SGA president has no decision-making power to release his own records. The latest UCF records battle is over who applied for paid positions on the new UCF SGA president’s cabinet, and whether UCF is breaking the law by keeping them secret. On May 1, Knight News reached out to UCF’s SGA asking for the applications and resumes of students who have applied to be in Nick Larkins’ and Cristina Barreto’s Executive Cabinet. Knight News believes that FERPA does not apply to the applications of students who are trying to obtain roles inside SGA. In fact, UCF’s decision to not release these applications and resumes runs counter to UCF’s actions in the past. Back in November, Knight News made a public record request for the resumes of students who have applied for a justice position inside SGA. UCF complied with this request and Knight News was able to investigate the applicants. The denial of Knight News’ request is just the latest chapter in what may be an attempt to hide information from the student body. As Knight News previously reported, Larkins was found not in violation of bribery after his accuser, SGA Facilities, Safety & Transportation Coordinator Bobby Sells failed to attend Larkins’ bribery hearing. After the hearing, Sells told Knight News that he believes Larkins did in fact promise positions to certain individuals. But he decided not to attend the hearing because he did not want to negatively affect SGA. Prior to Larkins’ bribery hearing, Knight News requested and received a redacted document where the names of Larkins accuser and the students who Larkins allegedly bribed were redacted. 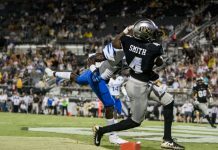 UCF later updated the record to show Sells’ name, only after Sells agreed to his name being released. After learning that the UF Student Body president decides whether to release or hide records, Knight News reached out to Larkins to find out what role he played in the denial of our request. “I have had absolutely nothing to do with the rejection of your public records request,” Larkins said. “I was locked out of my Chief of Staff account a few weeks ago and I still have not gained access to my Presidential email, so other than the back and forth emails I’ve been cc’d on between Ms. Cook and Mr. Lavin, I know nothing about this request,” Larkins continued. Larkins went on to explain that he does not know what role he plays in public record request and also that Oglethorpe is the person that all request go through. 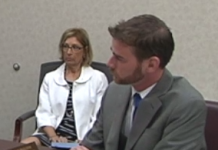 “David Oglethorpe is the person that we forward all of our public records requests to. I have only been the President for about a week so I have never gone through the process of releasing records, so at this point, I honestly don’t know what my role is,” Larkins stated. Lavin said that the Florida Legislature enacted a statute clarifying that SGA as a whole is “maintained by students” — not the administration — and that it could be a major legal problem if UCF administrators are interfering with SGA President Larkins’ custodial duties. Lavin said that if FERPA really does apply to SGA, then UCF broke the law repeatedly back when he was Speaker of the Senate at UCF and all SGA records were released to the public without a second thought.